How is the Beaches Resort Family-Friendly? When I went to the Beaches Moms Conference at Beaches Turks and Caicos, I had to pay for my own airline ticket ($1000) and $500 to go for a three-night stay, of which I only had about 10 hours of downtime due to the conference programming and the tour I chose to take with the Resort staff. So I feel comfortable in saying that this is an unbiased review of the Beaches Turks and Caicos Resort. Why did I pay $1500 to go on a non-vacation? I wanted to see if this was a place that a family can go on vacation and the parents can actually HAVE a vacation too. I also didn’t bring the family as I went to the resort with no understanding about it and no friends who had been there, so I was hesitant to bring the family until I could check it out first. My kids are really young, with one with special needs, and most resorts don’t really cater to the younger set. However, despite not bringing the family, I did spend about three hours of my personal time walking around with a staff member, asking lots of questions and seeing places and spaces on the resort that gave me a great idea about the resort. Only myself and one other blogger went on that tour so it was a side of Beaches that many bloggers did not take the opportunity to see. But I really wanted to understand the resort and why it could be a good vacation for those of you reading this post right now. I also wanted to see if it was a destination that would be good for my young family and (hard to please vacation picky) husband. So, let me share what I learned! The key draw at any Beaches Resort (not just the one in Turks and Caicos that I was at recently) is that it is an All-Inclusive Resort and Family Focused Resort. That means there are certain amenties that make it kid-friendly and parent happy, and you get all your meals, non-alcoholic and alcoholic drinks, and resort activities covered. So not having to run to a grocery store to stock up on water and snacks for the week, or driving around to find places to eat is a major bonus as a parent! Since everything is right at the resort, you don’t need to rent a car (or worry about car seats). Just get off the plane, into the resort van and start the vacation. (Are you weeping for joy yet, because I was!) You can even leave the stroller at home if your kids are beyond the infant stage but still need a stroller stage because the resort has wagons that you can rent (if memory serves, for about $10 a day) that can tote around two young kids. When I arrived at the Turks Resort, it was such a calming welcome and check-in process. You are seated on sofas, offered a tropical beverage (with or without alcohol) and casually check in. 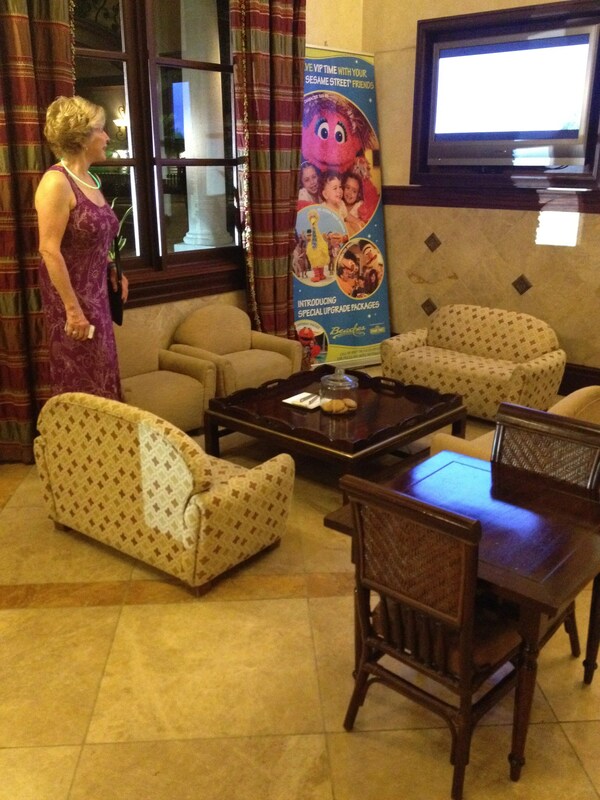 There is even a kid area with tot-sized table and chairs, cookies and a TV playing. No more standing with your luggage while the kids jump all over the sofas while you fill out endless forms and information. Most of the information you fill out and share before departing for your vacation so when you get on that plane, you are in paradise. While I cannot speak personally about the Jamaican Beaches Resorts particularly, the Turks and Caicos Resort had other little touches that made it easy for parents – stools in the bathrooms so kids can reach the sink to wash their hands, sanitizer stations around the resort to keep germs at bay, fast fulliment of cribs, pack-n-plays, high chairs and bedrails. Plus, there were amazing room options to accommodate families. You can see my post about the rooms here. The five pools are kid friendly with either a kid entry point or a wading section. The Turks and Caicos resort even had a whole water section for kids with a lazy river, pirate ship splash zone, body surfing machine, and even a tween worthy swim up bar where they can get kid-friendly smoothies, shakes and drinks. 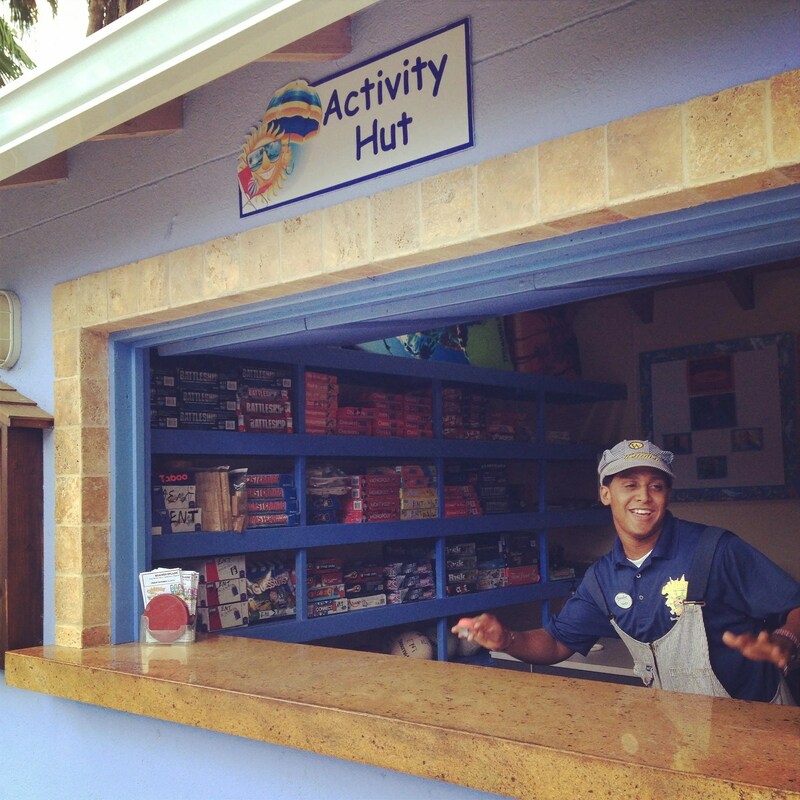 There is also an activity hut where you can find lots of things to do! To see all of the kid friendly places and spaces, click here. In addition to the pools, there is sandcastle-wave-jumping potential on the beach. You can also pick up snorkel gear, canoes, and paddle boards! There are also the pay-extra excursions similar to a cruise if you have been on one of those before. So there is no shortage of activities for even the most hormonal teen or bored kindergartener. However, my kids are younger (2 and 5 years old if you haven’t read my other Beaches posts) so I was particularly looking for a family vacation that is tot-friendly. Maybe it is my parenting ignorance, but most tween and teens can fend for themselves, but with toddlers and preschoolers, there aren’t many places that can keep them entertained or worthy of entertaining them for any period of time – especially without parents have to be there as well. Is it such a wonderful vacation luxury to have some personal parental downtime. I love, love, love my kids and don’t want to leave them at home for a vacation without them. Having a family vacation at Beaches Resorts, we can go as a family, but we can ensure the kids have fun, do family activities together but also separate so they can have fun in the morning or the afternoon, while my husband and I enjoy a quiet lunch, an adult water activity or snooze on the beach. 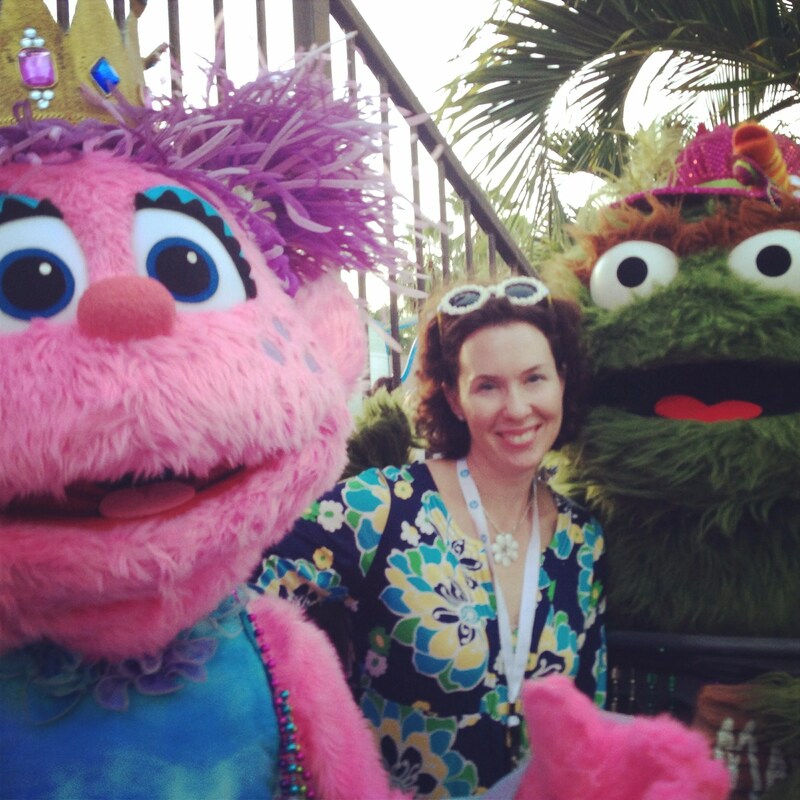 When I found out that the Beaches Resorts have a Seasame Street zone, and all-inclusive babysitting, I was intriqued. But was it safe, could I trust my kids with these people? Yes, in that they are internationally certified Nannies. They also take kids from birth so even parents who have infants can find some respite and reconnection to their partners. The programming is packed! With lots of staff (they never turn anyone away and reservations are not necessary) there is crafts, excursion so to the pools, birthday parties for Elmo and more. If you have severely picky eater or a child with special needs, there is a culinary concierge that you can connect with before your stay. While you can meet with them when you arrive, it is best to call at least two weeks beforehand, so if there is something special you need on site (like a certain pasta shape or type), there is plenty of time for them to order it and have it arrive on the island. Remember, it is an island so things have to be imported in. Another family focused benefit of the Beaches Resort is that your luggage is handled. At the airport, you get on the Beaches Resort vans (which are arranged in advance with your Beaches Vacation concierge.) Your luggage (similar to that of a Disney Resort vacation) is taken directly to your room when you get off the van, so you are not dealing with it during checkin. We found it arrived pretty quickly in our room, but just be safe, make sure to have a bag with swim suits, stuffed animals, and baby items at hand. Yet, pool and Beach towels are available and there is even a changing room if your room is not ready with showers and amenities if your room is not ready yet or if you have already checked out but have time before departing to take one last dip in the pool. The departure process reminds me of a cruise. You leave your luggage out at a designated time and it takes taken to the departure area on the resort. You arrive at your designated time, which is indicated on your departure slip giving to you the day before, but about 3 hours before your flight time, at the departure area. There are couches and chairs, some juice and cookies. You stand in line. You eventually get to the staff member, show them your luggage, which they put on the van, and you hop on the van as well. It is a quick 20 minute drive to the airport. Once you get to the airport, check in at the kiosks, and then at the gate desk. Between what the resort had to offer, the processes that make it easy for parents to travel with kids, and the kid focuses areas, activities and amenities, I knew that I had to come back with my family. However, despite all of this information I gleamed, my husband is still not ‘sold’, as I’m sure some of you may be feeling because, let’s face it, it is an expensive vacation. Flights from NYC or Boston will probably run you about $500 a person or $2000 for a family of 4. Then expect to pay $500 a night during the off season. Which is another $3500. So for a one week vacation, it will cost you over $5000. Does the cost give you that tropical, relaxing or recharging vacation you are looking for? I say yes, but I hope to bring my skeptical husband soon, because with Beaches Turks and Caicos, seeing is believing, and once you see it and do it, you’ll want to go back too.